Nestled in the quiet neighborhood subdivision of Bedford Park in south Peachtree City, this adorabe 3/2 is ready for move in. This spacious ranch has new beautiful handscraped hardwood throughout while two bedrooms are brand new carpet. The great room has a vaulted ceiling, allowing lots of natural light to seep in and reflect on the new floor. Everything has been painted and there is new lighting in all the rooms. A large 2 car attached garage opens to the kitchen and the backyard is entirely enclosed with a privacy fence. HVAC is only 3 years old. Appliances are brand new w exception of &apos;garage&apos; fridge. 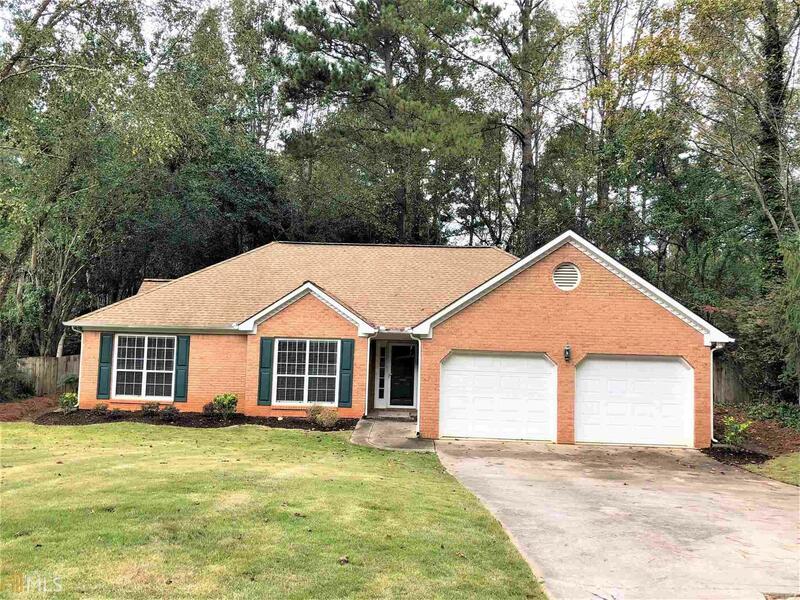 This house is convenient to the cart paths of Peachtree City and minutes away from shopping, entertainment and schools. Directions: Head South On Joel Cowan Pkwy. Turn Left Onto Holly Grove Rd. Turn Left Onto Paxton Lane. Drive Straight To Bedford Park And The House Is Directly In Front Of You.